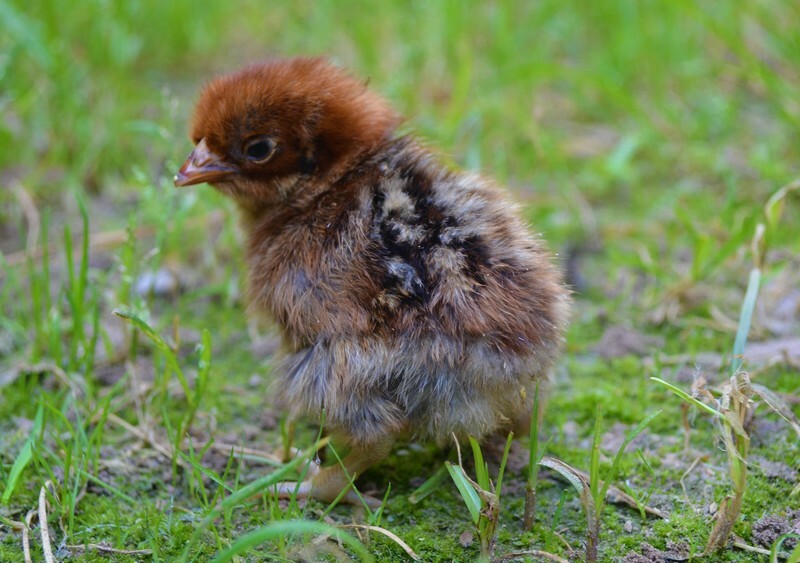 As a chicken the Deathlayer seems to have it all: the coolest breed name in all of poultrydom, spectacular good looks, and a history in its native Germany that goes back more than 400 years. How did it merit being called a Deathlayer, a name that is metal to the core? There are two competing theories. 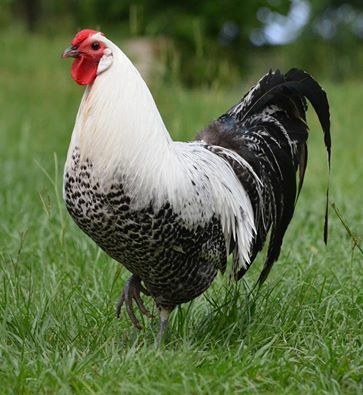 A literal translation of its German name, Totleger, means “death layer.” One theory has it that the name was bestowed because the hens of this breed are so productive they lay an egg each day until the day they die. The second theory – less sensational but probably more accurate -- is that the breed was first described by a different name in low German (Dauerleger or, literally, “day layer”), and over the centuries this name morphed into Totleger. Either way, what cannot be denied is that the Deathlayers do lay a large volume of medium-sized white eggs, and their remarkable appearance is like having visiting royalty in your chicken coop. Greenfire Farms is the original importer of this breed into the United States. The breed has two color varieties – gold and silver — and we have imported both. Our silver line was first imported in 2016, and the gold line in 2019. Each line was sourced directly from Germany where this once popular bird's population has declined over the centuries. 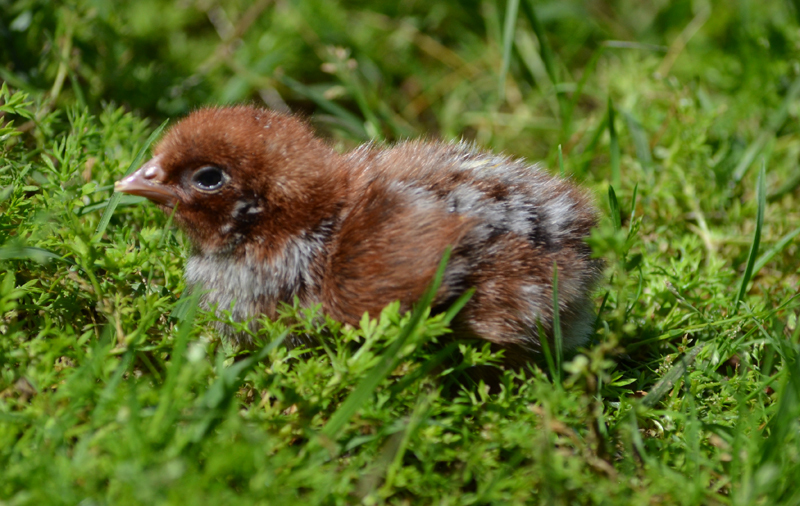 A recent census in Germany put the total registered population at about 1,500 birds. We are hoping that their utility value will be received enthusiastically by American fanciers so that, together, we can protect the rare and valuable features of this breed. 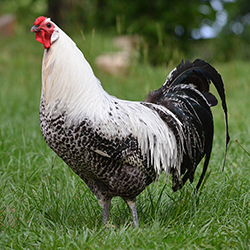 They are a phenomenally active free-ranging breed and are sure to become a favorite with small-scale egg producers and backyard hobbyists. But, if aesthetics are driving your choice, it is hard to imagine a more beautiful rooster than the Deathlayer. With its tight cushion comb, iridescent greens and purples in its black feathers, luxuriant tail, and totally black doll eyes, in looks the Deathlayer can easily compete among the most beautiful chickens on the planet.